Changing the way you think about managing your sales function can be a scary undertaking, especially when asked to think of Sales as a manufacturing process. As the world 'outside the box' becomes more chaotic and unforgiving, Sales is forced to find new ways to solve the old efficiency problem. By applying manufacturing principles that manufacturing adopted decades ago to streamline and improve production, Sales can effectively manage and improve their process as times continue to change. The best way to understand this is to look at an example straight from the factory floor. Here is your February Customer Manufacturing Update. Several people asked us to continue to send these out mostly monthly, and if we don't have a new paper, to feature a paper from the archives they may have missed. This month's paper is on Sales Management and specifically how to improve sales forecasts. It was written originally by our team member Neil Reckon back in 2001, and we believe you will find it enlightening and relevant today. If you'd like to communicate directly with Neil on this topic, let us know and we'll set something up for you. When Is A Thank You Not A Thank You? 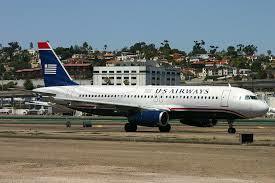 While flying we notice that US Airways has been promoting their affinity credit card. At the end of each flight they provide the opportunity to apply for the card. The script is reasonably good so the flight attendants, who we assume mostly do not like the idea of "selling" anyway, can do a good job with the copy. However, on a recent flight we noticed they had either added something to the end of the script, or we had just tuned out and missed it before. The last line (or thereabouts) is to let you know that this affinity credit card (which they will make a lot of money on) is their way of "thanking us" for flying with US Airways. Really? We guess that just about sums it up. You make them money and they think you should consider it an honor and a privilege to be allowed to fly with them or use their affinity credit card. What an industry ripe for disruption. The Harvard Business Review publishes on a range of business topics, and while their content is often good, sometimes one wonders. This is one of those times. In the April 2013 issue they published an article, "3 Rules for Success," based on the research of two members of Deloitte, one of whom is their Chief Strategy Officer. The article starts with this statement: "Much of the strategy and management advice that business leaders turn to is unreliable or impractical." We agree. In the authors' quest to give valuable advice they undertook "rigorous research ..." that involved "...a statistical study of thousands of companies." Their research found three fundamental rules that make companies great. Before we state the rules, one needs to be clear that their findings are based on the number of companies who achieved superior results using a particular approach, and this therefore determined the "rules." That is, the more companies that were successful with an approach, the more likely it was to be a "rule." Turns out they only found three rules that matter. Better before cheaper. That is, compete on a differentiation other than price. Revenue before cost. That is, focus on increased revenue not lower costs. 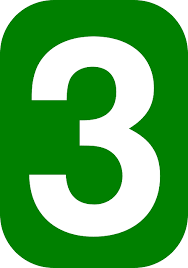 There is no rule three, only the first two count. Amazing findings until you think about the basis of the research and their conclusions. They found more companies were successful with a differentiation strategy than a cheaper price strategy. Big surprise ... not. There are many ways to successfully differentiate a product or service, but there is only one low price leader. So in any given market there will always be more companies than one that are successful with differentiation, so that strategy will always have more successful companies than the one low price leader. Ditto for revenue before costs. There again can only be one lowest cost producer, while there are many ways to grow revenue by varying price and volume. Again no surprise that there are more successful companies with revenue growth strategies than the one lowest cost producer. It is amazing what one can validate with biased statistics. 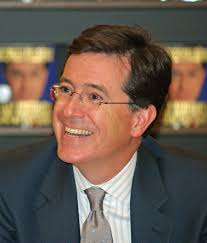 Our US readers likely know that Steven Colbert is changing jobs. As such, we thought we would use one of his rants about branding to make a point. A while back, Stephen Colbert took aim at what he referred to as the absurd power of branding. In truth we believe he, as others do, has mistaken celebrity with branding. His particular rant was about Kanye West's clothing line with A.P.C., and specifically his $120 Hip Hop T-Shirt. The shirt is described as: "Collaboration between A.P.C. and Kanye West. Very loose T-shirt in Egyptian cotton. Short sleeves. Ribbing at neckline. Reinforced neckline and shoulders. 'A.P.C. KANYE' silk screened inside neckline. Washed Egyptian cotton jersey. 100% Cotton." A quick online search found Egyptian Cotton Shirts, and for $23.50 you can have what appears to be an identical shirt. Appears is the operative word. What makes one shirt worth almost $100 more than the other? One shirt has Kayne silk screened inside the neckline and the other doesn't. Is that worth $100? Apparently. Is that branding value? No, it's celebrity value. And as long as Kanye West is a valuable celebrity, that premium can hold. But, celebrity value can be fleeting. Lance Armstrong wrist bands anyone? Don't confuse celebrity with brand. Is a celebrity a brand? Sometimes. Can a brand be a celebrity in its own right? Occasionally. But the two concepts are different, and marketers who miss that do so at their own peril. Last month in this space we commented on a restaurant in the Denver airport. This month it's about a restaurant on Michigan Avenue in Chicago. While walking down Michigan Ave in Chicago, we came across Chuck's Manufacturing. The intriguing name caused us to stop and take a look. It's a restaurant. However, while the name is intriguing nothing helped us know more. They had a menu posted outside, but no story about the restaurant with the unusual name. Nothing to entice us inside. Careful inspection showed that behind the chairs for outside dining was a slogan that suggested they were re-engineering how one dines. Again, no story to help us take action. Research shows that a "story" increases the perceived value of items and services offered for sale. Chuck's has an intriguing name, they just need to continue the mystery to cause diners to stop. They likely pay HIGH rent to be on Michigan Avenue suggesting foot traffic is important. We suspect their conversion rate is not what it could be. As the restaurant was sparsely populated, our postulate may be valid. Make sure you leverage your opportunities to convert the casually interested to at least trial customers.